There’s a reason why the traditional marriage vow says ‘for better, for worse’. It’s because any intimate relationship between two fallible humans is pretty much guaranteed to go through a bad patch from time to time. I have experienced the full extent of ups and downs in my own marriage. Soon after our second child was born, my wife Kate confronted me with the fact that we were not the friends we should be. If things didn’t improve, she warned, our marriage would be over in a year. As happens to so many couples when they have young children, we had done the classic thing of neglecting our marriage and growing apart. The good news is that we sorted things out, had four more children, and now with a 32-year marriage we face a bright future together. What we never did at any stage was dream about how happy and liberated we would be if we divorced. To us, divorce would have been a disaster, the failure of the dream. Perhaps we might have felt differently had there been something deeply unpleasant going on, such as adultery or abuse. Our problem was benign neglect, a failure to get on with one another. And that’s the case for the majority of couples who do split up. Divorce wouldn’t just have been a disaster for us. It would have profoundly influenced the upbringing of our two oldest girls, whose childhood would have taken a very different course, changing the way they see themselves, their parents, and their own relationship prospects. Not to mention that our subsequent four children would not have existed at all. So although I have a great deal of sympathy for parents struggling with the demands of bringing up young children, and especially for exhausted mothers whose husbands have drifted into the background – as I did – I was shocked to come across somebody called Lynden Kemkaran writing a paean of praise to ‘The delights of divorce’. Married with children herself, she describes the envy with which she sees her divorced friends who now appear to be having the time of their lives, liberated from the shackles of marriage and parenthood. Wow. Is that all? If I end my marriage, I can have a bath and a bit more time to myself? It’s fair enough for a hassled mum to tell her husband that she needs a bit of tender loving care, a bit of kindness. Among the relentless routine and frustrations of motherhood, she deserves to be treated as a wife and lover, complimented, and made to feel a bit special from time to time. I doubt if many men deliberately hold back on this. I suspect much of it is ignorance. We just don’t think. But ask and ye shall receive would seem like a good plan. 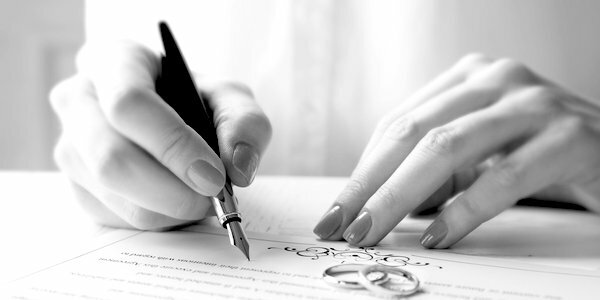 Is divorce really such an attractive option? Come on. Surveys – such as that reported in last weekend’s Sunday Times – suggest that women do tend to view their divorce more positively than men. As my wise wife often points out, the wife who is neglected when she becomes a parent tends to micromanage her husband. Eventually this takes more of a toll on mum than dad. Hence divorce can seem more liberating to women. Yet the ONS Annual Population Survey shows that divorced people overall are significantly less happy and satisfied, and significantly more anxious, than married people overall, taking personal factors such as age, health, education and income into account. Yes, of course there are unhappy married people. However among new parents, for example, these represent a remarkably tiny minority. Just a few per cent. Of these deeply unhappy parents, one third split up. Most of the rest report that they are happy in their relationship ten years on. In other words, provided they stick at it as we did, most unhappy couples find a way through. Unhappiness is both rare and also rarely permanent. Personally I have no great problem with divorce. Everybody messes up in some way. Nobody is flawless. And when one spouse mistreats the other over a long period, of course there is a strong case for a marriage to end. At least by getting married, there was an attempt to commit and give it a serious go. Cohabiting without making a clear commitment is the real problem. The amazing fact is that, in spite of our human weaknesses and natural selfishness, most marriages survive these inevitable periods of downturn and thrive. Divorce rates are now at their lowest levels since 1973 while break-up rates among those who don’t marry remain alarmingly high. Our research shows that if couples are married when their child is born, 76 per cent will still be together when the child takes his or her GCSEs. Among couples who don’t marry, the odds of success plummet to 31 per cent. But there’s one final and crucial point that Lynden Kemkaran glosses over in bigging up the superficial attraction of divorce. Where there has been obvious conflict between the parents, children are generally better off out. Conflict between mum and dad is stressful and they get it. However in the vast majority of cases, parents aren’t at each other’s throats in the run-up to divorce (or separation of those not married). Just one in ten parents who split up were unhappy and quarrelling regularly one year earlier. This is where family breakdown does its damage. Where conflict was low between parents, children tend to do badly because they just didn’t see it coming. And that is where parents and children see things very differently. The parents might try to dress up the split as ‘all for the best’, ‘we still love each other but . . .’ or (in a truly deluded turn of phrase) ‘we are consciously uncoupling’. But that makes no sense to the children. I hope that Lynden Kemkaran’s positive portrait of divorce is tongue-in-cheek. But it’s not a great message to send out to those less able to afford jodhpurs who might actually take it seriously. My advice – apart from reading our book What Mums Want and Dads Need to Know – is that if a wife wants an uninterrupted bath, she should ask her husband to be kind and take the kids out for a couple of hours.